Every year the Dutch celebrate Kingdom Day on December 15. This is not an official national holiday, however, the government buildings fly the flag of the Netherlands with an orange pennant. Celebration of Kingdom Day is connected with signing the Charter of the Kingdom of the Netherlands by Queen Juliana on December 15, 1954. The Charter describes the relations between the Netherlands, as the mainland, and its Caribbean territories – Aruba, Curacao and Sint Marteen. This is the leading legal document of the kingdom and the three Caribbean countries subordinate to it. Since 2008 December 15 became also Naturalization Day, that was originally celebrated on August 24. The changing of the date has a symbolic meaning for all constituent countries of the kingdom. 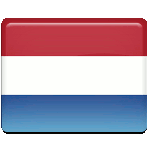 All naturalized citizens of the Netherlands officially receive their Dutch citizenship on December 15. Celebration of Kingdom Day is traditionally marked by free concerts, that are organized to celebrate the relations between the Netherlands and its overseas territories – Suriname, the Netherlands Antilles and Netherlands New Guinea.